We have been at the forefront of education design research for more than 20 years, and it is at the core of our design philosophy. We apply the findings from our research to all our projects from concept stage through to design and post-occupancy evaluation. This gives us a unique understanding and working knowledge of education design from the student and teacher perspective. We know what works, and we continue to fine tune and develop our strategies in line with the latest research. We played an integral part in the two year, $200,000 research project with the Australian Teaching + Learning Council (ALTC) and the University of Queensland (UQ); which explored the interaction of pedagogy, space and technology. This research led to a new system of metrics that evaluates and designs learning spaces. Our other ongoing research projects track the shift in education design and master planning as they adapt to new pedagogies and technology. whole-of-school flexible classroom model for the 21st Century learner. The Brisbane Boys' College Middle School Precinct has been part of a longitudinal research project, exploring the adoption of flexible teaching and pastoral delivery for the middle school. The findings have been directly applied to the master planning of the school and the design of innovative learning spaces that better meet the needs of contemporary teaching practice. Our research program explored all areas of the student and staff experience, as well as area and use studies of the whole university campus. 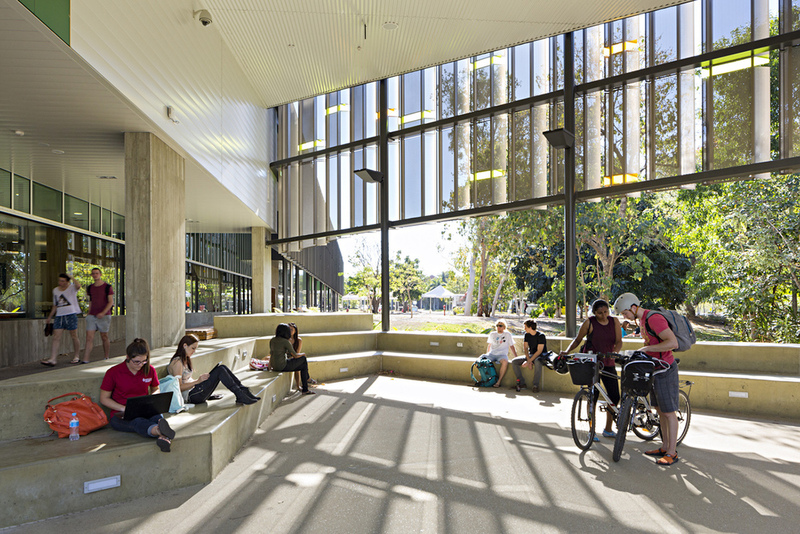 These insights became the basis of a plan to revitalise the campus with JCU Education Central at its heart. For the QUT SEC project, we undertook a six month trial of prototype active learning spaces to fine-tune issues before completion. Read the research and see how prototyping can benefit your project.